Kalamaki is a small hamlet built along the shore of the Gulf of Laganas, lying only 7 km from the town of Zakynthos. During the months of June and July the fine sandy beaches of Kalamaki are frequented by the world famous Caretta-Caretta sea turtles, which arrive there to lay their eggs. This yearly visit constitutes on of the major ecological attractions of the Island. Frequent bus services to and from Zakynthos town and Laganas resort are available all day long. In case you want to move around with more comfort and privacy, there are also rental agencies in the area, where you can rent cars, jeeps, bikes or bicycles. And, as a matter of course, there is also a taxi rank on the road to Laganas. Walking along the roads of the resort, you shall encounter a choice of quality restaurants and taverns, offering an interesting variety of traditional Greek, English, Chinese, and Italian dishes. Even if you want just a quick bite, there are fast-food bistros you can visit. Note that some of the restaurants and taverns offer live Greek music shows with traditional Greek songs and dances. 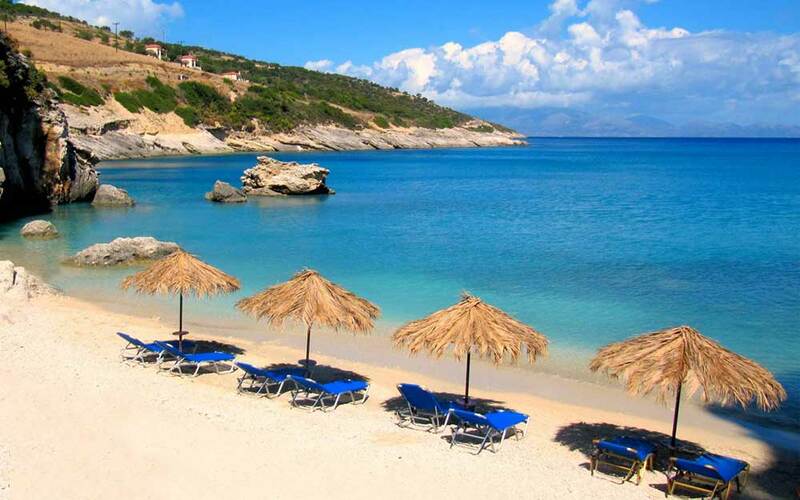 As already said, Kalamaki is situated along the shores of Laganas beach, in the southern part of the island. The seashore is covered with fine golden sand. You can comfortably enjoy the crystal clear waters of the area renting an umbrella and sunbed, while just off the beach there is a variety of taverns and restaurants. The great majority of the visitors prefer to frequent the central part of the beach, but if you take a stroll up the shore you may discover great, quiet spots. Keep in mind that the sandy shore of Kalamaki is also the place where the famous Caretta sea turtles lay their eggs and that the spawning and hatching seasons coincide with the summer vacation period. During June and July the turtles come ashore and bury their eggs in the sand. 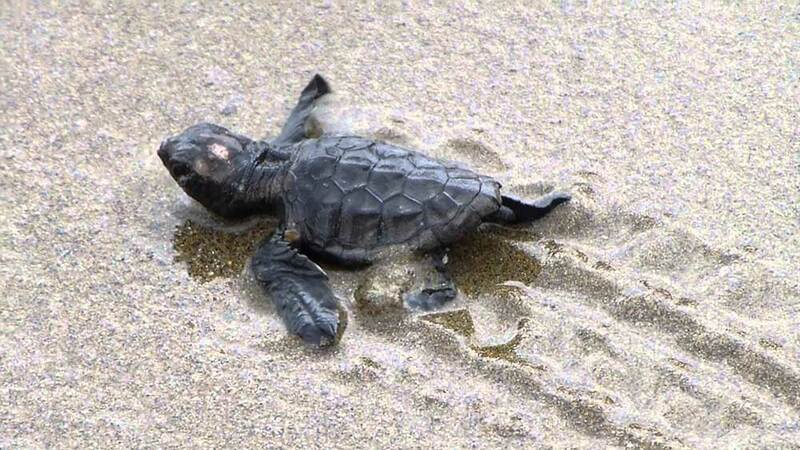 The baby turtles emerge 8 weeks later and head immediately to the sea. So, while enjoying the beach, you must be careful not to disturb the nests with your umbrella or by digging. In case you are lucky enough to see neonate turtles, enjoy the sight keeping a safe distance and avoiding any action that may disturb or harm the newborn animals. Power water sports are not permited in the area and no one is allowed at the beach after sunset. If you want to watch the sea turtles in the natural habitat, there are organized glass bottom boat trips along the Gulf of Lagana. Small boats that can take you to remote beaches are also available. Grasp the opportunity to visit Marathonissi islet, another spawning area of the Caretta sea turtle. 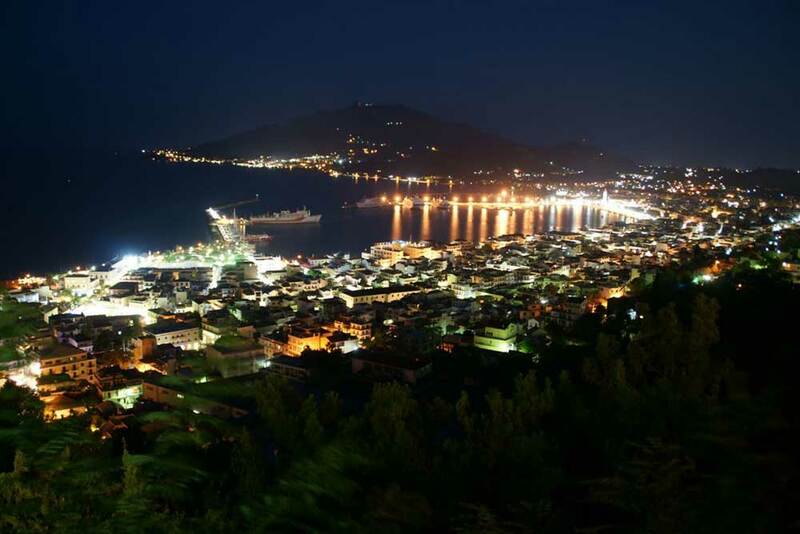 Ecological and natural attractions apart, Zakynthos has a lot to offer in the field of cultural sites and events. 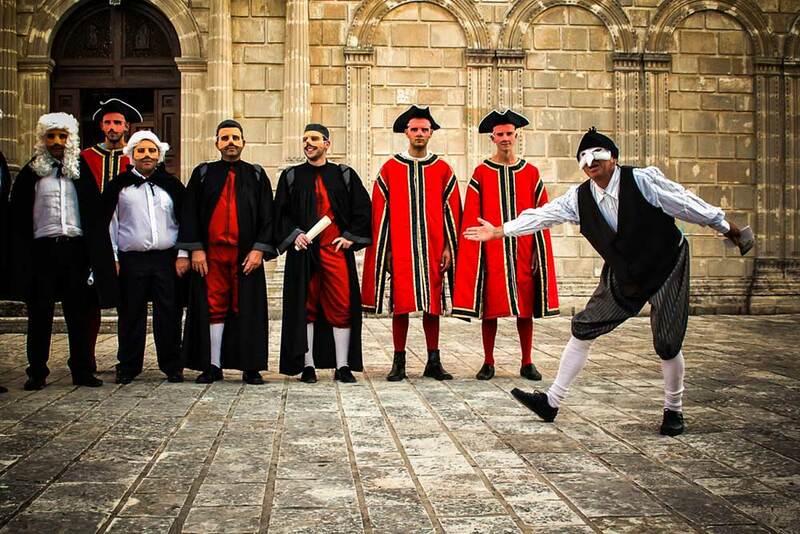 If you visit the island in early summer you may attend to the Giostra di Zante festivities, a reenactment of a traditional joust event that started in the 15th century. The museums in the town of Zakynthos, the lavishly decorated churches and the old surviving monasteries, as well as the old mountainous villages, offer an great insight of the interesting cultural and historical past of the island. Get Directions From/To: Please select... Kalamaki beach 200m Airport .. Zakynthos town .. Zakynthos port ..